God created Man, Sam Colt made them equal, and John Browning made them civilized. 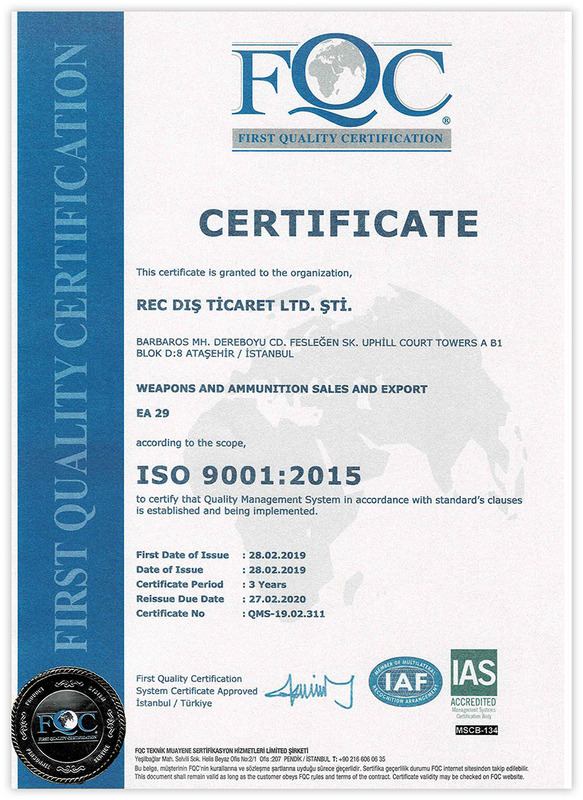 REC ARMS Co is a firearm seller founded in 2009 and located in Istanbul city of Turkey. The REC ARMS team members in the area of firearms since 2004 and have a large experience in design and trade of the different gun types. 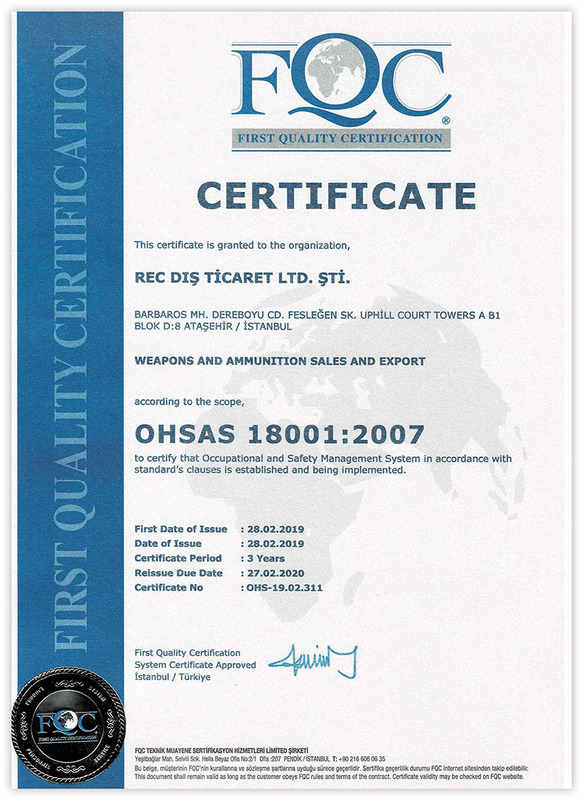 REC ARMS is the company with the License for the guns and knives trade issued by the Police Headquarter of the Istanbul Governorship. Our company is a Member of the Istanbul Chamber of Commerce and registered as a Member of the Eastern Anatolian Exporters’ Association. Thanks to the industrial zone IMES neighbouring us, today we are able to represent a wide range of Products including Single Barrel shotguns, Over-Under Double Barrel shotguns, Straight Pull shotguns, Lever Action shotguns, Semi-Automatic shotguns with Inertial operation and Gas operation system, PSP & Air Rifles, Blank Pistols and other guns in different Calibres such as 12 Ga , 20 Ga, 28 Ga, .410 Ga. Our company cooperates with the best manufacturers of Turkey such as ATA Arms Company and Istanbul Arms Company located in Istanbul, as well as the Ozkanlar Arms and Catus Arms located in Antalya and the best companies located in Konya. 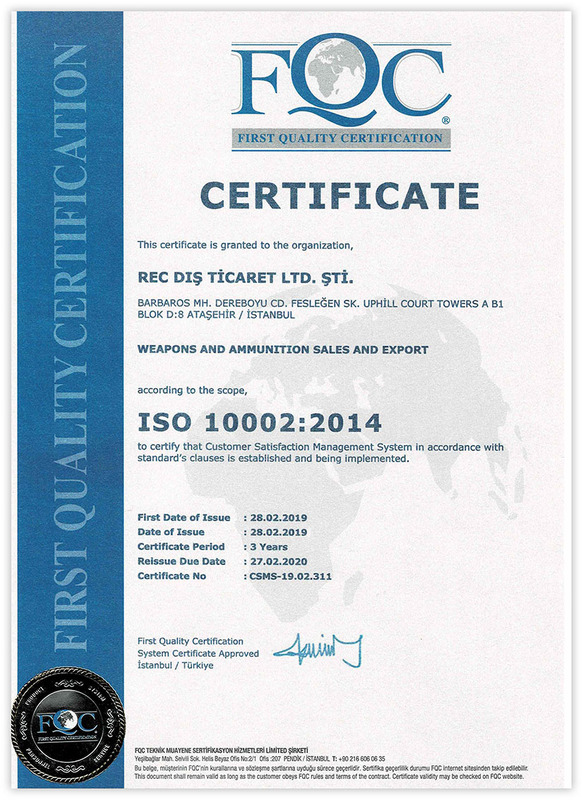 Our company is very scrupulous about the quality of the guns. We search rigorously for the new and competitive products of the market among the best manufacturers. The customer satisfaction is our most important investment. Our strategic task – optimization of customer needs satisfaction within the framework of the long-term partnership program. 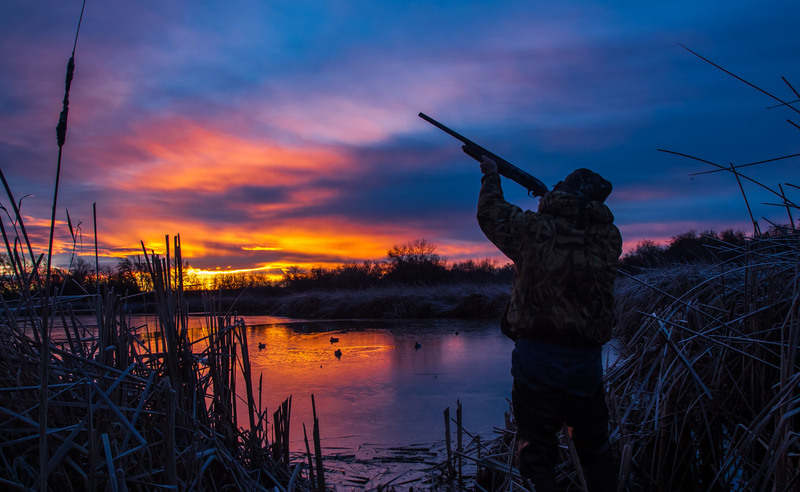 Our vision is to be a major player in the gun trade in the different countries. We are very successful in Russia, Kazakhstan, Azerbaijan, Ukraine and other countries. We are maintaining the sales leadership in those markets. Recently we have started our activity in Australia and are trying to develop our business in this market. Our mission is to provide to our customers the best quality product at the most reasonable price and reliable service. Our long-term cooperation with many customers confirms the honest way of doing business with our clients. We aspire to mutual benefit and a win-win result for the both parties. We are working on development of our business throughout the world with the customers which expecting the very sustainable products and the fair partnership. Our task is providing top quality, highly dependable products able to cater to all the customer’s requirements at very reduces costs. We are always ready to cooperation with importers, distributors, wholesalers all around the world for providing high-quality production and full after-sale support to them. We appreciate all our customers. We work with trusted experts with high capacity manufacturing to bring you the best products available.